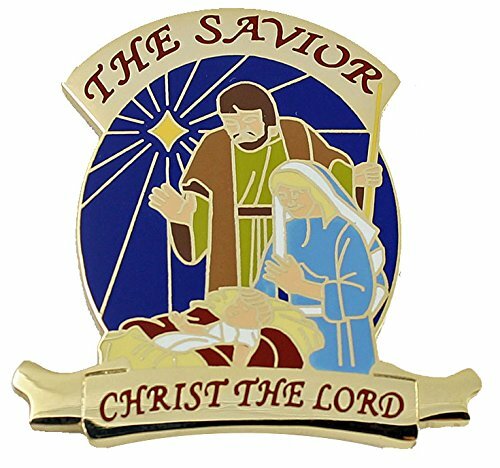 Richly designed gold plated, brass pins have detailed enamel finish colors that are both attractive and affordable. Great gift ideas for any occasion. About The Product: Got something you want to get off your chest? Or, just looking for a little extra flair? This unique pin from Graphics and More says all the right things without you even uttering a word. Small in size, but big on making a statement. Attach it to shirts, bags, hats and more! This pin is made of metal with the resin-topped, printed design shown. The pin attaches with the included butterfly clasp. 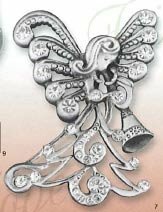 The design shown is approximately 0.75" (1.9cm) in diameter. ⁣ ⁣About The Design: This is a touching depiction of baby Jesus, Mary and Joseph on the day of Christ's birth. About The Product: Whether your personality is cute as a button or brings sarcasm to an art form, express your unique sense of self with Graphics and More's pin-back buttons! These fun accessories feature a printed graphic (image shown), with a protective clear coating on a metal base. The back of the pin features a standard button pin clasp, which you can easily attach to your favorite jacket, hat, messenger bag, or lanyard. Each of our pin-back buttons is available in three convenient sizes, so whether you're looking to make a bold statement or just add a splash of personality, we've got you covered. Don't think you can properly express your personality with just one design? Don't worry - there's a ton of designs available in our other listings. 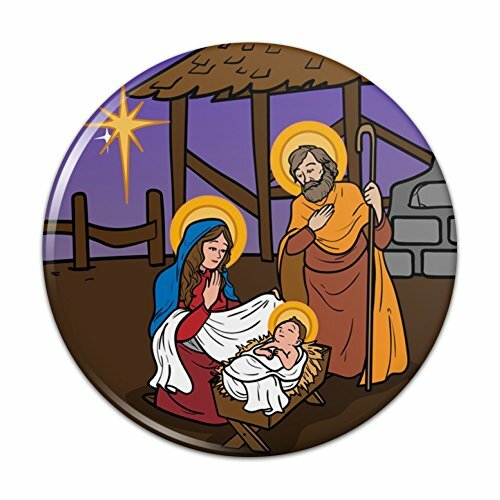 Check them out, pick a few of your favorites, and get to pinning!About The Design: This is a touching depiction of baby Jesus, Mary and Joseph on the day of Christ's birth. About The Product: Got something you want to get off your chest? Or, just looking for a little extra flair? This unique pin from Graphics and More says all the right things without you even uttering a word. Small in size, but big on making a statement. Attach it to shirts, bags, hats and more! This pin is made of metal with the resin-topped, printed design shown. The pin attaches with the included butterfly clasp. 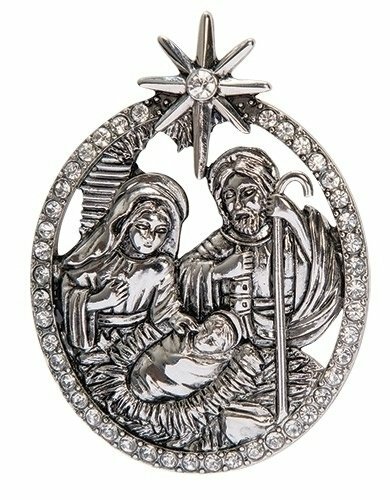 The design shown is approximately 0.7" (1.8cm) x 1.2" (3.1cm) in size.About The Design: This is a touching depiction of baby Jesus, Mary and Joseph on the day of Christ's birth. 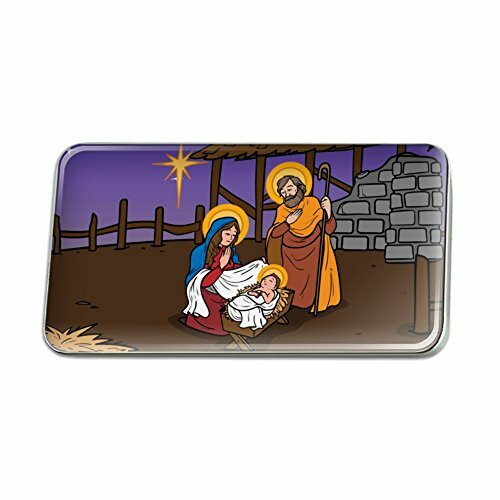 High Quality Nativity Holy Family scene with Jesus in his manger gold plated lapel pins. 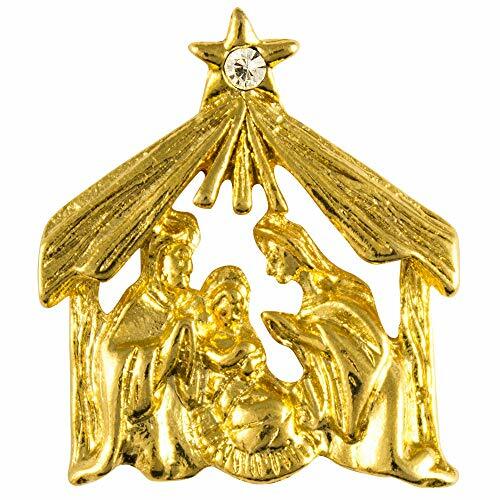 This little lapel pin of the nativity has an Rhinestone crystal at the center of the Bethlehem Star on top of the manger. 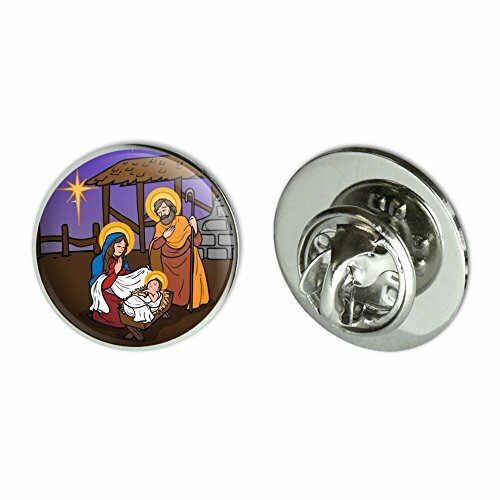 The nativity lapel pin measures 1 inch tall and could be used as a Christmas religious tie tack for church goer, pastor or Sunday school teacher. 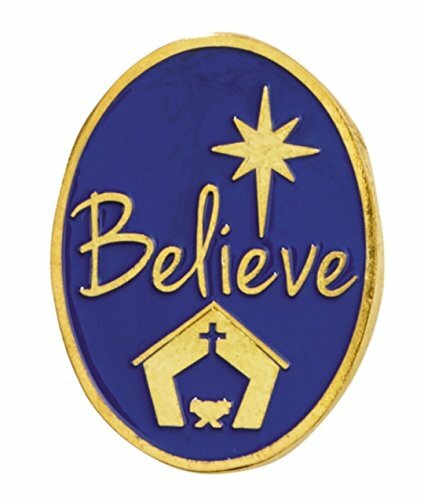 Christ The Lord Nativity Pin - Oversized at 1.5"
Christmas Fun Gift Bundle [5 Piece] - Set of 4 Wooden Clothes Pin Ornaments - Silver Glitter Nativity Scene - Believe In Miracles! Stationary Gift Set - Commonwealth Shar pei 14" - Bits & Pieces "
Christmas Fun Gift Bundle [5 Piece] - Set of 4 Wooden Clothes Pin Ornaments - Collectable 6 Piece Nativity Porcelain 3.5" - 3 Piece Santa Potpourri Tealight Warmer - Cuddly Friends Noel Puppy 10"
Want more Nativity Pin similar ideas? Try to explore these searches: 1 New York Steak, Power Pan, and Best Steak Knives.